Two of dubstep’s most venerable stalwarts, DJ Hatcha and Hyperdub boss Kode9, went back-to-back on Kiss FM last week to take listeners through the history of the genre. 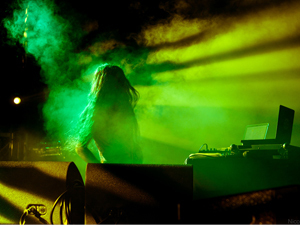 Bassnectar’s new ‘Freestyle’ mixtape will get you amped up with an aggy selection featuring tracks from his ‘Freestyle’ EP out October 16th on Amorphous Music. In anticipation of Notting Hill carnival taking place this weekend in London and the Labor Day Carnival about to kick off in Brooklyn, NYC next weekend here are some sound system vibes from Hipsters Don’t Dance filled with house, Uk funky, bass, bashment, mash up, soca and reggae riddims.